Skyrim Special Edition reimagines and revolutionizes the open-world fantasy epic, bringing to life a complete virtual world open for you to explore. Skyrim Special Edition brings the epic fantasy to life in detail. The Special Edition includes the game and add-ons with all-new features like remastered art and effects, volumetric god rays, dynamic depth of field, screen-space reflections, and more. Skyrim Special Edition also brings the full power of mods to the PC. New quests, environments, characters, dialogue, armor, and weapons, there are no limits to what you can experience. 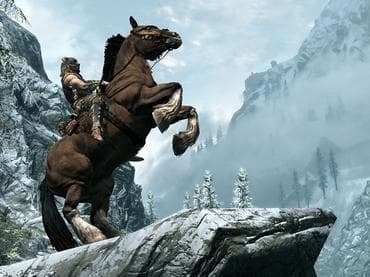 Если у Вас есть вопросы, связанные с игрой Skyrim V Special Edition пожалуйста используйте эту форму для связи с нами.